Going Commando | A SWTOR Fan Blog: Too Many Alts or Not Enough Variety? With its promise of eight unique class stories, SWTOR was always going to be an altoholic's dream. On the whole, I feel that it has indeed lived up to that promise. It took me nearly two years to complete all the game's class stories, and each of them offered a unique piece to the puzzle that is The Old Republic as a whole. You may even find it questionable how much content is hidden away in some class stories - for example the role and whereabouts of the Sith emperor are quite opaque until you've played a Jedi knight and a Sith warrior. Or how about the fact that the Supreme Chancellor of the Republic just changes from one person to another one day - for which the only explanation is found in the bounty hunter story? I've levelled a multitude of alts to explore all these different aspects of the in-game universe and have loved every minute of it. Lately though... I've been feeling a bit burnt out on my alts, and I've been wondering why that is. It started with a joking throwaway comment in my post about making an alt on the Progenitor, how I would feel guilty if I just made another character on the Red Eclipse that I then wouldn't find the time to play anyway. But it's definitely been remarkable how refreshing and freeing it feels to play on the Progenitor. When I log in there, Agent Shintar is all I have to worry about. It's limiting in some ways to not have a huge legacy of characters that can provide assistance in the form of resources, but it also makes life a lot simpler and carefree. But why should alts feel like a burden? "I’ve definitely noticed a certain “alt burnout” in myself that started in WOTLK, due to the accessibility changes. In BC all my alts eventually hit some sort of progression ceiling, and that was good because it kept them alts. While my main was raiding Black Temple, my alts became Champions of the Naaru and I could be proud of it. But in WOTLK, it all became kind of samey. Every time the badges got updated, all my alts could upgrade their entire gear. They could all raid Trial of the Crusader. It actually felt kind of tiring, and I’m still struggling a bit with where to draw the line in Cataclysm." The thing that made me tire of alts a bit back then was that they were all doing the same content at the same time. There was no distinction anymore between the main that you were always trying to keep on the cutting edge and say, the alt that was only ever doing the lower tier content but had a reason to actually keep doing it. 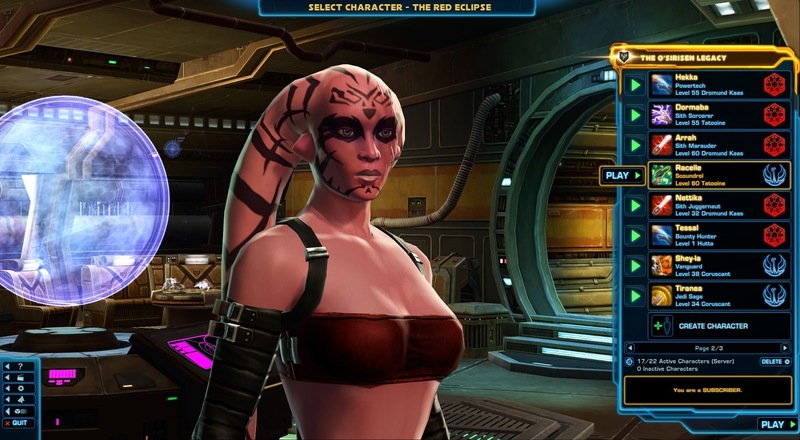 And if I look at it, I think this is kind of the problem that I currently have in SWTOR as well. In fact, in some ways it's surprising that I haven't noticed it being an issue any earlier, even if gear gating is less of a "thing" in SWTOR than it is in WoW. The story matters a lot though. 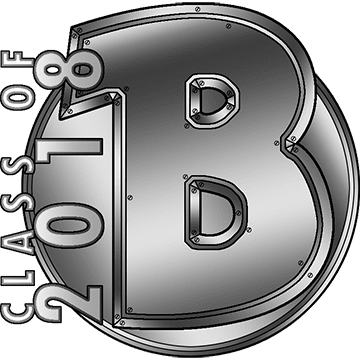 If eight different class stories were an altoholic's dream, then the revelation that the class stories weren't going to be continued after launch should have shattered that dream long ago. But I suppose it didn't really matter at first, because it was always going to take me some time to actually see all the content that the game launched with. With Makeb, I guess the first cracks started to show, but at the same time, it wasn't too bad. I completed that planetary quest chain on some characters but not on others, and while I felt vaguely guilty about it since the loading screen summaries kept reminding me that it was supposed to be chapter four of my class story, it wasn't too big a deal. It was just one more story. There was little reason to go to Makeb outside of it because its dailies sucked anyway, and Toborro's Courtyard wasn't an operation you wanted to keep running on a regular basis. Completing Makeb wasn't a requirement to move on to CZ-198 or Oricon. But for those alts near the level cap, it feels like the path to progression that's open to them is all the same, and it's only getting same-ier. Shadow of Revan has brought with it an increased amount of linearity. Do the four Forged Alliances flashpoints in the correct order. Do Rishi. Do Yavin 4. Do Ziost. It's all got to be done in that order or not at all. I actually enjoyed repeating the main Shadow of Revan story arc multiple times because it was well done, not to mention the massive carrot that awaited on Rishi in the form of the new class missions. But then we got the next part of the story and... you can't even do it unless you completed what came before. It makes complete sense from a narrative point of view, but it also feels so limiting. I can't take my Scoundrel or my Marauder to Ziost just for fun (not without a guild ship summon anyway) because neither of them has completed the SoR storyline. Ziost itself, while a great piece of content in some way, feels like it has limited replayability as well. It feels like it was mainly added to drive the story forward and doesn't have much purpose beyond that. I have to confess that as much as I've gushed about it, I've only actually completed the Ziost storyline on Shintar and one of my Imperial alts - that's it. I keep thinking that I probably "should" go and move more characters forward through it (because I do like their play style and their back stories), but the thought that all of them will just be going through the exact same motions as my first two characters is honestly quite a downer. I thought I'd accepted the class stories ending on Corellia. I figured if Bioware kept adding more planets like Makeb or Oricon, they would eventually build a levelling path with enough content that you could mix things up on alts. But with Shadow of Revan it looks increasingly like we're all going to be playing the same linear story on all of our alts, and that chafes. I suppose that whatever ends up happening with the Emperor will only be playable after you've completed Ziost or it won't make any sense, but I hope that after this, Bioware will reconsider this highly limited and linear approach to storytelling. I'm actually okay with linear stories in MMOs... as long as you can either choose out of a selection of several different stories, or the game still gives you enough options on the side to mix it up and make alt play interesting. Right now, it seems that those options are rapidly diminishing as all our characters are being funnelled into a single storyline, leaving them with nowhere else to go (unless you want to do nothing but PvP I guess). Yep, I've noticed that problem. 12X got me to create new characters and run them through Corellia. Very soon, I might have to do Makeb->Forged Alliance->Rishi->Yavin->Ziost 10 times in a row. Even a second path of some sort would help. Or some planets that aren't directly involved in the big story. Or expand off the macrobinocular missions (or something similar) and have other sets of quests people can run around and do. But you would think that some MMO would realize that if people like having multiple starting zones, they might like multiple ending zones, too. Even if it is more work. As someone that had three Hands of A'dal in BC and too many other alts in Wrath and up, I've had some of these same problems with my alt-ism. What I've started doing with SWTOR and its uber alt-friendliness is to mentally mark many of my alts as "story alts". That is, level them far enough to see the parts of the story I want to experience the variations of. After that I left them 'retire' to my strongholds until or if I need them again. That way I can just keep my 8(!) main toons ready to go for any new class-based quests. Thank you very much for this post, Shintar. I think it’s among the best you have ever written and I’ve added it to my ESSENTIAL READING page. I’m a serious altoholic as well and I especially enjoyed SWTOR because of the effect alts can have on one’s gaming experience. I feel that it’s even more pronounced here than in other games because of the Legacy system. Playing through the original stories (both class and planetary) is still the most enjoyable way for me to spend my time in the game. I also agree with the idea of specific alts for specific purposes. Back in TBC I was also keeping a number of alts ready for all different kinds of content. Even while I was raiding Back Temple and Sunwell on my main, I could experience challenging and relevant content on other characters, be it Heroics, Karazhan or Gruul’s. An alt for every occasion. All of that changed, however, with WotLK and each subsequent expansion because Blizzard was busy pushing everyone into the latest raid which made everything that came before even more obsolete.